These note pads utilize a unique accordion-style design that pop-up one-by-one. 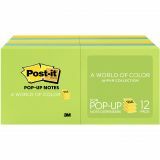 Pop-up Notes are simple to grab one note at a time. 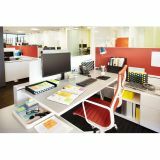 Peace of mind with better organization. 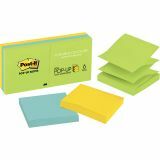 Post-it Pop-up Notes Original Pop-up Refill, 3 x 3, Assorted Jaipur Colors, 100-Sheet, 12/Pack - Post-it Pop-up Refill Notes are designed for use in Post-it Pop-up Note Dispensers (sold separately). Self-adhesive notes offer the convenience of grabbing just one note, with just one hand. The accordion-style notes pop up one at a time from a specially designed dispenser (sold separately), keeping Post-it Notes at your fingertips. 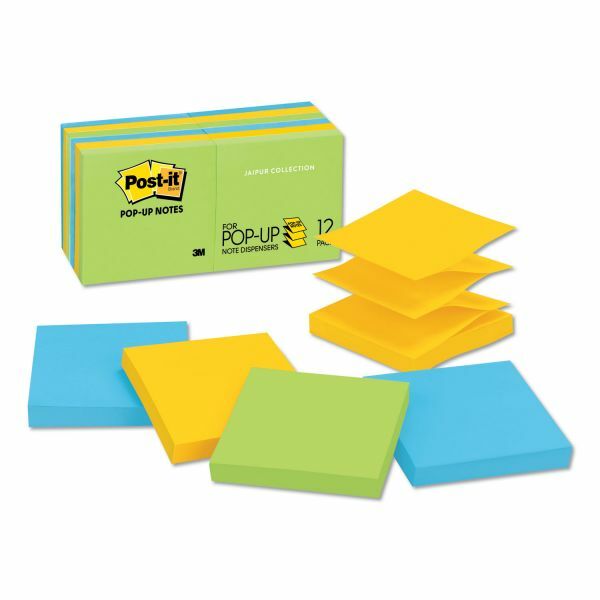 Pads are the perfect size for notes, numbers and lists. Re-positionable adhesive won't mark paper and other surfaces. Paper used comes from well-managed forests where trees are replanted. Each pad contains 100 sheets. Colorful Post-it® Notes inspired by colorful cities. These emotive colors draw upon the food, art and culture of India.